A shot from last year vegetation point cloud mapping in Brandenburg. 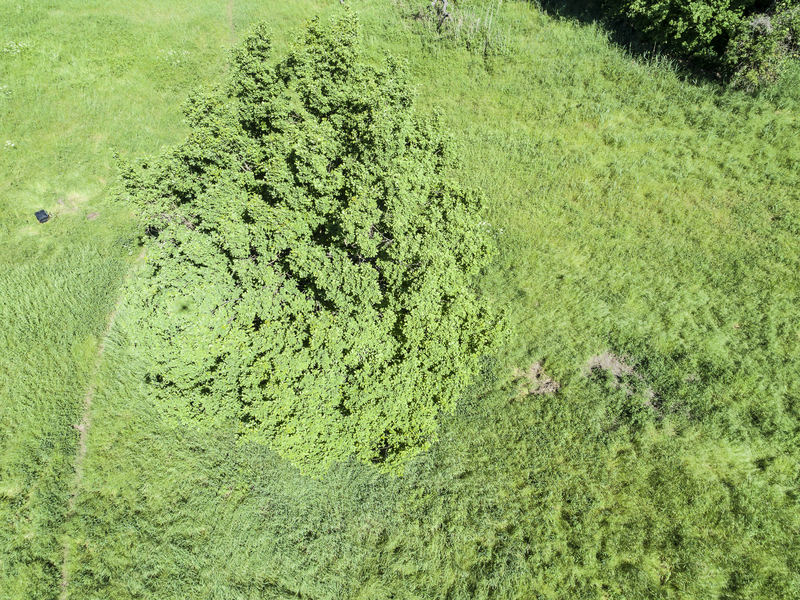 Strong Hotspot-Effect visible with easily visible shadow projection of the quadrocopter shape on the tree crown texture. Nice example of this direct back-reflection effect on vegetation (crown surface in this example), although you can also clearly see the same effect on the grassland vegetation in the neighborhood of the tree crown.